It’s common for home inspections to be a point of stress for a buyer. I recently wrote a segment about choosing a home inspector and the types of home inspections to consider when purchasing a single family home. Experience shows that many buyers, especially first timers, have no idea what to expect from a Home Inspection. I sure didn’t when I bought my first place (well, before I was in the business). I remember how stressed and anxious I was about my home inspection, only to have it all fall into place. I was so excited to move into my first digs. 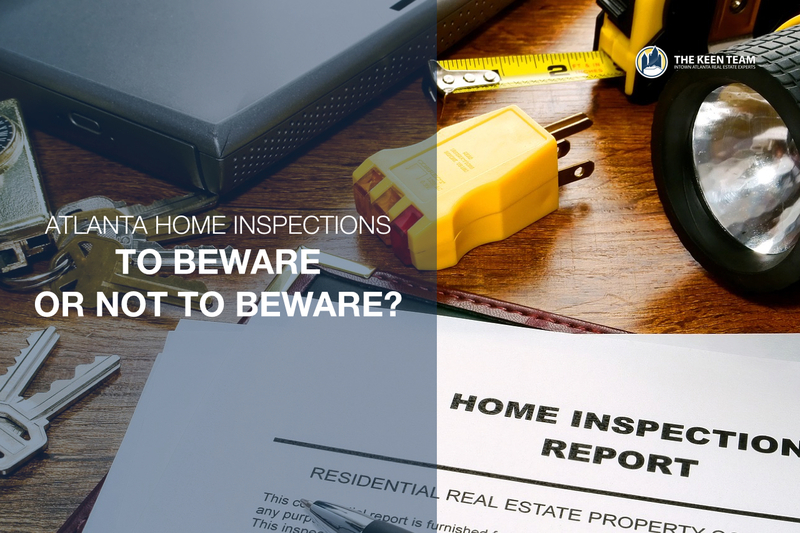 Buying a home is a big event for most people, and anxiety can understandably run high when awaiting the results of a professional Home Inspection. Your mind runs wild as you start thinking about all the things that could be wrong. These are completely normal emotions to have, but managing them and having a deeper understanding of what can be expected before you even hire an inspector will prepare you to make smart decisions. Having professional representation (an agent) working on your side is key. This will help you further understand your options. Of course the answer is no, you don’t have to buy it, but there is a softer reality around what to expect from a thorough home inspection. Let’s bullet point a few facts for thought so you have a more realistic vision of how your home inspection will go. Inspections don't result in a pass-fail grade. The inspector is there to simply share with you what they find - not to tell you it failed or to buy or not to buy. No home, whether it's brand new, or really old, will have perfect inspections results. No matter what home you choose, your home inspector will likely find dozens of defects. That’s normal and to be expected. The home inspector is there to do a thorough search of the nooks and crannies of your would-be home. You’ve hired them to turn the home upside down and uncover every defect possible. This allows you to know what the condition is, including any potential problems. The more things they find, the better. You want to get your money's worth and make sure they're doing their job. A defect doesn't always mean bad news. Just like a valued, vintage car may have a rust spot on the fender, or a burst of smoke out of the tailpipe at start-up, homes also age, mature, and fall into their own over time. Call it character. Try not to stress too much about any news you receive, and do your own research to see what the damage might be. Speaking of, you'll have a chance to evaluate the inspectors findings - the good and the bad- before you're committed to the purchase. It’s called due diligence. So what type of findings can be expected? Rats. Lots of rats! All kidding aside, you may find it comforting to know that I see the same handful of findings over and over and over again. Your agent and home inspector should be prepared and proactive in helping you understand the significance of any problem areas. They should also review potential solutions with you. After being a part of nearly a thousand home inspections, far fewer than you think result in the buyer not buying the house. Less than 5%. In other words, the vast majority of inspections lead to a move-in day as planned. A professional home inspection is an important part of a successful home purchase. Embrace the process. Just as I did, you’ll look back with a grin on your face and tell yourself, “That wasn’t so bad!"